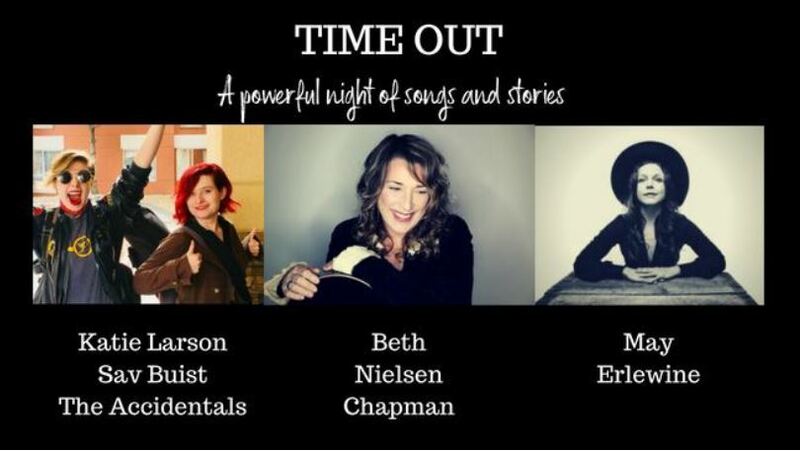 Beth Nielsen Chapman is one of the most inspirational women in the industry. Recently inducted into the Songwriter’s Hall of Fame, Beth has penned tunes for artists including Bonnie Raitt, Emmylou Harris, Elton John, Neil Diamond, Trisha Yearwood, Martina McBride, Roberta Flack, Waylon Jennings, Faith Hill, Willie Nelson, and more. Beth’s life experiences have inspired songwriting and her story will inspire you to live as you have never lived before. May Erlewine is Michigan's premier singer-songwriter. Growing up in an eclectic, music infused, home-school environment, May played in punk bands, train jumped and hitch-hiked across the US when she was a teenager, and later settled down on a farm in Michigan. Her stories and songs are captivating and relatable. Her latest album, “Mother Lion,” is her best writing yet, named WYCE's "Album of the Year" 2018. NPR calls them "The most emotionally compelling songwriters of our time...” The Accidentals have been playing music together since they were 15. They own their own publishing company, they are signed to a major label, they tour 200 shows a year… and they're funny. They are looking forward to sharing songs from their upcoming 2019 album and the stories that inspired them. Prepare to laugh, cry, and be inspired. *Limited number of Early Bird discount tickets, so act fast!